Well, that was quick. 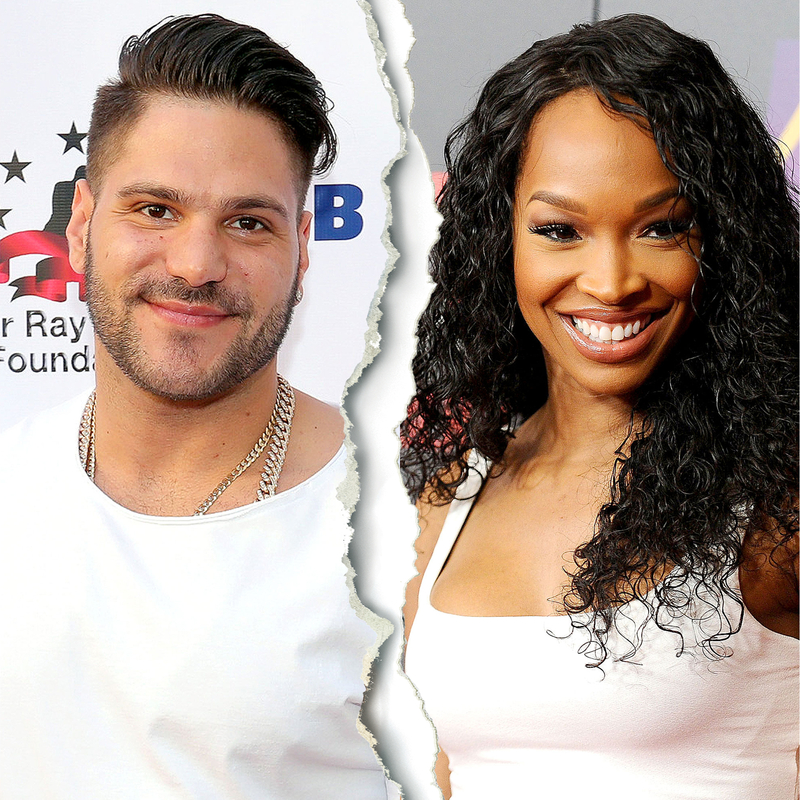 After connecting on E!’s Famously Single in the beginning of December, Malika Haqq and Ronnie Magro have split after only a few weeks of dating. The Jersey Shore alum, 31, and the Keeping Up With the Kardashians pal, 33, announced their relationship to Us in early December. At the time, they said, “We had a lot in common from the start, and it was an instant friendship. The attraction quickly became a mutual romance." The twosome credited their latest reality show — which also stars The Bachelorette’s Chad Johnson and Dancing With the Stars alum Karina Smirnoff — with bringing them together. "Our support for one another through this challenging experience made us strong in a very short period of time,” they said. “We had an opportunity to really get to know each other living in such close quarters." It had seemed that Magro, who previously dated his costar Sammi “Sweetheart” Giancola for five years, was following in the footsteps of his fellow Jersey Shore alum Paul “DJ Pauly D” DelVecchio. The 36-year-old, who appeared on season 1 of Famously Single, has been dating his costar Aubrey O’Day since last February. Multiple sources confirm to Us Weekly that the short-lived romance between Magro and Haqq is done. While they were initially very public on social media, posting photos together regularly, they have since wiped each other from their respective Instagram accounts. Unfortunately, they will have to relive the relationship when season 2 of Famously Single premieres later this year.